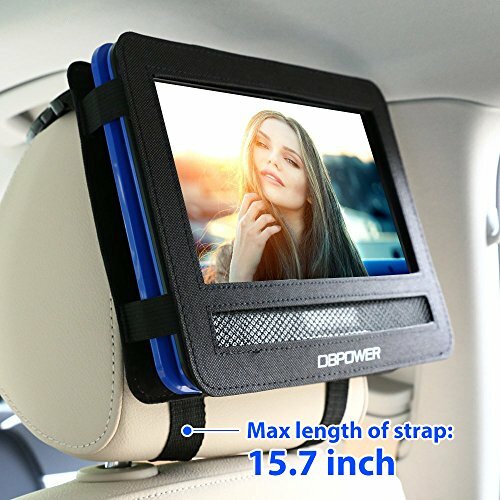 If your player’s LCD screen can swivel and flip to a tablet style, our car headrest holder is a great choice for you to watch movies on the go in the back of your car! Notice:Before purchase, please ensure that this headrest mount will fit your car headrest by carefully checking the dimensions. Thank you. 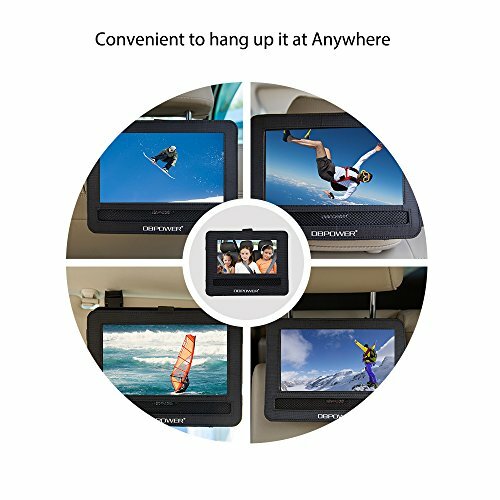 HANDS-FREE VIEWING: This mount fits most 9-9.5 inch swivel & flip style portable DVD players allowing you to mount your DVD player on the back of the headrest for hands-free viewing. EASY TO MOUNT: Adjustable straps allow for quick, easy and secure mounting to most cars’ headrests. 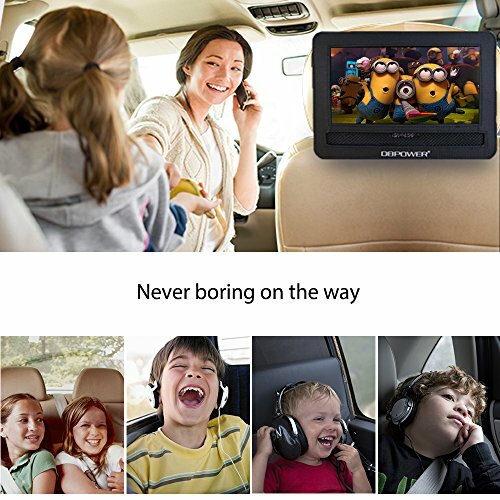 Please attach the case to your car headrest mount as the 2nd picture shows. 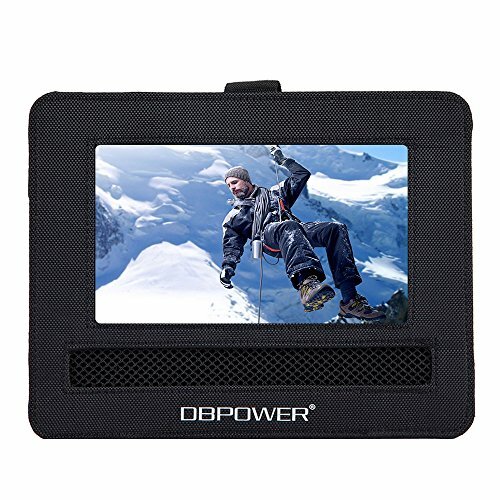 ACCESSIBILTY: Easily access the ports and connections on the side of the DVD player. 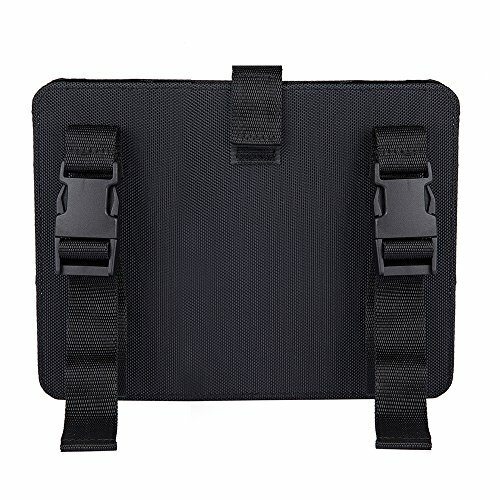 Notice: Max length of strap:15.7 inch. Before purchase, please ensure that this headrest mount will fit your car headrest by carefully checking the dimensions. 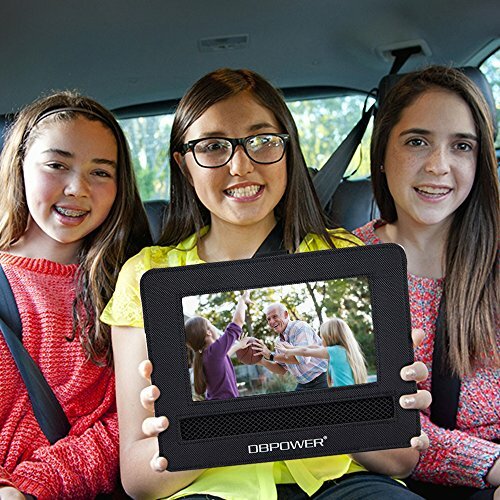 KEEP THE KIDS QUIET: Allows you to focus on the driving whilst the kids are kept entertained in the back. 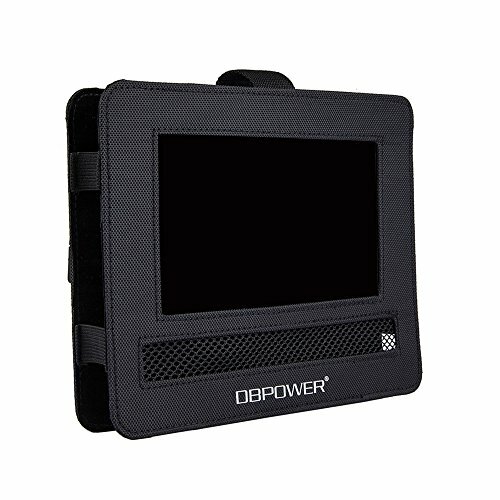 DURABLE: Made of tough nylon that is hard-wearing and resists stains.